The Maroons begin postseason play on Friday when they travel to Minneapolis to take on Wartburg in the first round of the NCAA tournament. This is Chicago’s first playoff appearance since the 2011–2012 season when they reached the Sweet 16 round. This year, the squad finished with an overall record of 18–7 and an impressive conference mark of 11–3, which earned them a second-place finish in the UAA. Moreover, the Maroons have faced one of the toughest schedules of any team in the tournament and have knocked off ranked teams on five separate occasions. The Maroons are hoping to defeat yet another ranked team in Wartburg on Friday and move on to face the winner of the St. Thomas vs. UW–Superior matchup in the Round of 32. Wartburg, currently ranked eighth in the country, enters the contest with an impressive record of 25–2 and a 15–1 mark in the Iowa Intercollegiate Athletics Conference (IIAC). In their last game, the Knights defeated Luther College to win the IIAC tournament title. Throughout the year, Wartburg has relied on the long-range shot to outscore their opponents. Three of the Knights regular starters have converted over 40 percent of their three-point attempts this season. The Maroons will be relying on their top-ranked defense to neutralize Wartburg’s high-scoring offense. This year, the Maroons have held their opponents to just 61.6 points per game. Moreover, fourth-year guard Stephanie Anderson was awarded the UAA Defensive Player of the Year award. 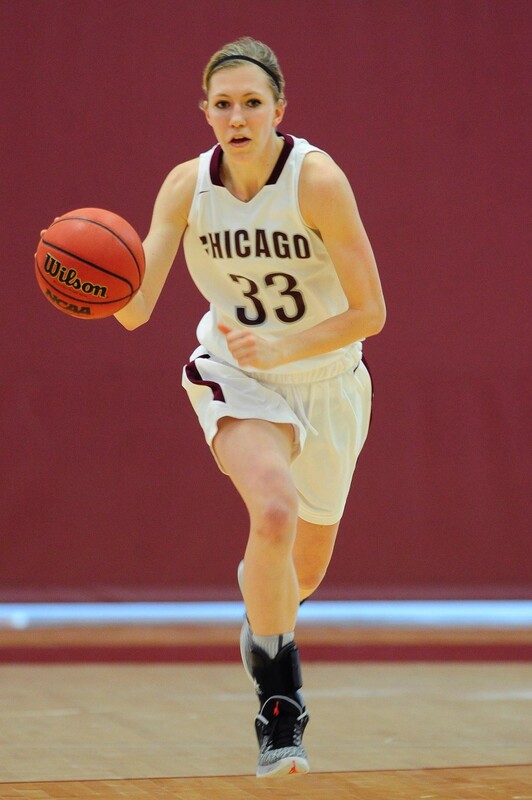 Additionally, the Maroons will need strong performances from their offensive leaders like fourth-year Britta Nordstrom and first-year Miranda Burt. Nordstrom, who received first-team all-UAA honors this year, has averaged 13 points per game this season while shooting 52.3 percent from the field. Still, it will take a gutsy performance to advance to the next round. If the Maroons are able to defeat Wartburg, they will advance to the Round of 32 and play either St. Thomas or UW–Superior, who face off against each other on Friday evening. St. Thomas enters the tournament as the second-ranked team in the country and have posted a perfect 27–0 record. Their first-round opponents come in with an overall mark of 23–4, and they recently won the Upper Midwest Athletic Conference tournament championship. Chicago will face rival Wartburg this Friday, March 3, at the University of St. Thomas in Minneapolis, MN. This will be just the second meeting ever between the two teams. Wartburg won the only other meeting back in 1989, but the Maroons will be looking for a different result this time around. If the Maroons are able to emerge victorious, they will move on to face St. Thomas or UW–Superior the following evening in the second round.